Meet the HTC 10™, the phone built to empower your inner fanatic. Designed with do-it-all capabilities, there’s something to excite everyone. An Optical Image Stabilization on both the front and back camera will thrill photography fans, while the 24-bit HTC BoomSound™ audio pack enough punch to take all your music, movies, and games to a new level – and that’s just the beginning. Whatever your passion may be, fly your flag proudly with the new HTC 10. • Brilliant 5.8” QHD display on the world’s first Infinity Screen. The expansive display stretches from edge to edge, giving you the most amount of screen in the least amount of space. • 12MP rear-facing camera. Take brilliant photos in any light with the dual-pixel technology & more detailed selfies with Samsung’s best camera yet. • Now security is personal. 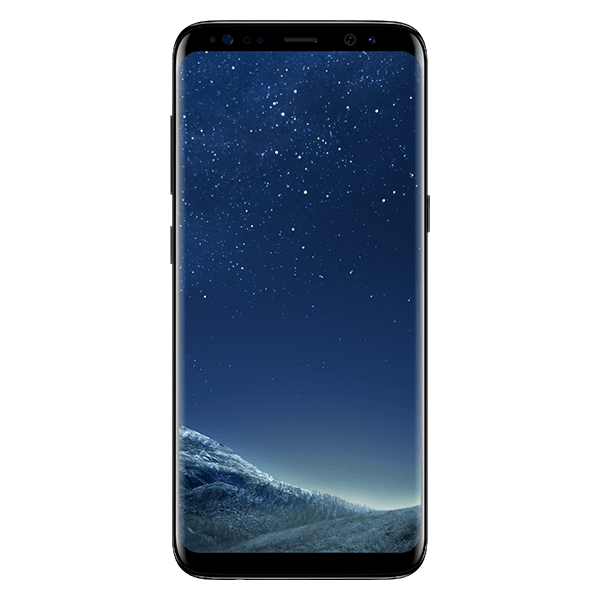 With facial recognition, the Samsung Galaxy S8 easily unlocks with a look. • With an IP68 water resistant rating, the Samsung Galaxy S8 can resist a splash or accidental dunk.